Geocaching is a techy worldwide treasure hunt using GPS technology. A geocacher hides a cache usually containing a logbook and starting with some trinkets or small items that can then be traded by geocachers that find it in the future. Many geocachers have signature items that they leave in caches that they find. There also can be traceable items in a cache that must be logged online. A cache is found using the GPS coordinates at the location where the cache is hidden. 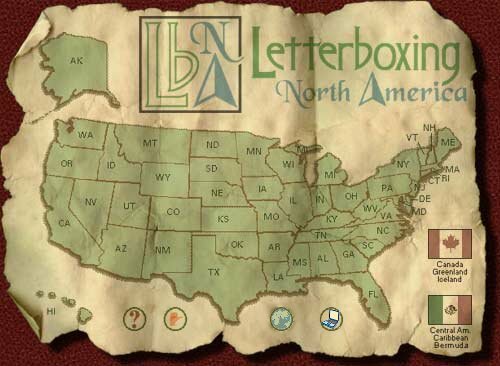 Letterboxing is a similar, though less “techy”, activity combining a treasure hunt with the artistic creation of hand carved stamps. Letterboxes are found using directions and clues written by the person who hid the letterbox. They usually only contain a logbook and a stamp which is often hand carved. The hunter then stamps their own “signature” stamp in the logbook and the letterboxes stamp in their own book. For this swap, everyone will make the equivalent of 4 points for their partner as well as either 3-5 extra small items for geocachers or a hand carved stamp for letterboxers. These extra items can be purchased but it would be great if they were handmade! Extras are allowed but you may want to discuss with your partner. Some ideas for this swap would be: items for hiking, a bag to hold a partner’s GPS, crafted items to put into a GPS, small handmade book that your partner could use as a logbook, book to keep track of caches/letterboxes found, travel bugs or hitchhiker letterboxes, decorated compass, etc. -Please maintain good communication with your partner and the organizer. -Please be prepared to post pictures of what you are sending and receiving! Which do you participate in: Geocaching, Letterboxing or both? Which would you like to craft for: Geocaching, Letterboxing or both? Do you have an awesome Geocaching/Letterboxing name? Do you have a signature item you put into caches? What are your favorite colors/themes? What are your least favorite colors/themes? Do you have a wist/etsy favorites/etc.? Do you have any allergens (smoke, pets, etc) in your home? Thinking very hard about whether I should join this one. Thanks! It's fixed and you should! As soon as I verify that my hubby has changed his log in/handle, I will send in my info. I've just sent my info and I'm SO excited!!! Yea! I will have you all updated and added tonight! Still on the fence about this one... But I will watch it for sure!